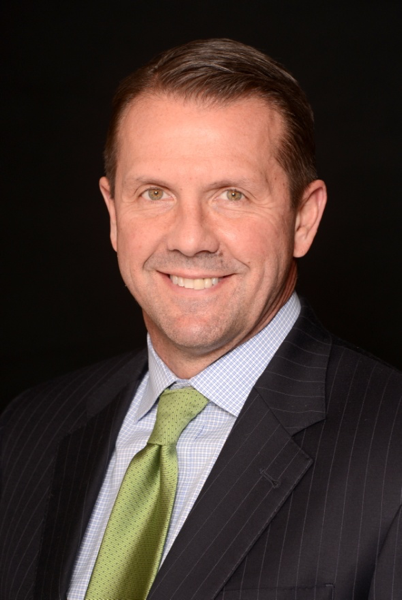 Craig S. Wallace, CEO of Ceva Animal Health was recently named Kansas City Animal Health Corridor Chair. You might say this isn’t his first rodeo at the helm of the highly successful region. He held the title once before. The position requires visibility as the host of the region’s annual August Homecoming Event and Investment Forum, yet there are many meetings and planning nights leading up to those events. It’s a job others might not want, but Wallace, as a longtime animal health industry executive with an endlessly optimistic entrepreneurial spirit is coming back for more. His passion for Kansas City along with those leadership traits shines through as we recently caught up with him at Western Veterinary Conference. You have lived in and worked in many places in your career. Now you’re living in Kansas City as CEO of Ceva Animal Health and Chair of the Animal Health Corridor. What is that makes Kansas City so special to you? There are so many right answers to the question “What is the best thing about Kansas City?’ The Royals, the Chiefs, our great barbecue, the history of this region, the people, arts and culture. The values, the work ethic, the determination and pride all contribute to the quality of life and distinct culture of Kansas City. But in the end, I believe it is our sense of an encouraging and supportive community which gives us an edge over other parts of the country. That sense of community is central to Kansas City’s historic ability to nurture the entrepreneurial spirit and help emerging companies succeed. Can you talk about specific programs? In Kansas City, you find programs to foster new businesses such as the Kauffman Foundation, Sprint Accelerator and our own Investment Forum. Behind these programs you have a community committed to helping these entrepreneurs turn their dreams into a reality. Where did that commitment to see each other succeed come from? I believe it grows from seeds planted by the entrepreneurs who came before us with names like Kauffman, Hall, Block, Stillwell, Donnelly and Nichols. We are fortunate to live in an area steeped in a history of making something out of nothing. A community with the willingness to give each other a hand up when needed and a belief competition makes us all better. Why do companies ranging from entrepreneurs to established companies choose to locate in the Corridor? Established companies located in the Animal Health Corridor give so much to nurture entrepreneurs. But mature businesses also benefit from the time spent with emerging businesses. By mentoring companies in our industry, we gain much more than we give. Can you tell us specifically what the Corridor does to welcome entrepreneurs? We roll out the welcome mat for the world’s entrepreneurs. 2017 is the 9th year the Corridor will host the Investment Forum. Past presenting companies have secured nearly over $180 million in investment, many have licensing agreements and acquisitions have resulted between presenting companies and AH companies. Companies have applied from nearly every US state and 15 different countries. Can you tell us about the new Entrepreneurial subcommittee the Corridor has formed? 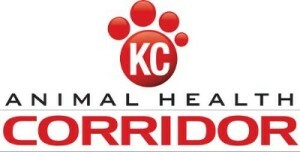 This committee is comprised of smaller animal health companies in the Kansas City region. In addition to the companies, we also have ECJC, Kauffman Foundation, KC Rise Fund, KS Bio, MO Bio, KC Area Life Sciences Institute, Tech Accel, iiM (VC fund), KC SourceLink, AgTech Advisors, tech transfer representatives from the universities and the incubators represented on the committee. We also have individuals like Sam Al-Murrani and Ed Robb on the committee. How did you decide how to form the committee? When forming the committee, we wanted to be sure that we had company representatives as well as representatives from other organization in the region providing support to entrepreneurs. At our initial meeting, we asked the companies, what is needed in the ecosystem that does not already exist? We do not want to duplicate any efforts that are already being done by other KC regional organizations. What is the focus of the committee? The committee collectively agreed that the focus should be on educating entrepreneurs about the resources available in the region as well as providing education on how to scale their business. With this focus, we are now working with the group to determine how we deliver the information. Are there any ideas you particularly liked? Some ideas are: venture lounge (connecting entrepreneurs and capital sources), institutionalizing the coaching process from the Investment Forum year-round, TED style talks delivering information needed like tax information, regulatory information, how to distribute products nationally and internationally, market data etc. Yes, in doing all of these things, the Kansas City Corridor is helping ensure the economic vitality not only of our region but of our industry for years to come. As the 2017 Chairman of the KC Animal Health Corridor, I invite everyone in the animal health industry to attend Global Animal Health Week in Kansas City August 28-29 and join me in celebrating entrepreneurship and the innovators who are taking personal risks to advance technologies that improve the quality of life and sustain life globally.